Winter Sport in Australia by James Northfield, 1932. Northfield (1887–1973) was an Australian graphic artist best known as the designer of a series of posters for the Australian National Travel Association, promoting holiday destinations across the country. Image copyright James Northfield Heritage Art Trust. 22 What’s in a Name? The final word(s) on Bob Beattie; when it comes to NASTAR, freedom plus discipline equals skiing success. Snapshots in Time, the ski art of Gustav Jahn. Seven decades ago, Jim McConkey fell deep into a crevasse on a Canadian glacier. Toni Matt saved his life. Salt Lake City snowboard shop does double duty as the Utah Snowboard Museum; Colorado Snowsports Museum reopens after major renovation; three new inductees at Intermountain Hall of Fame. Save the date for ISHA events this coming ski season! 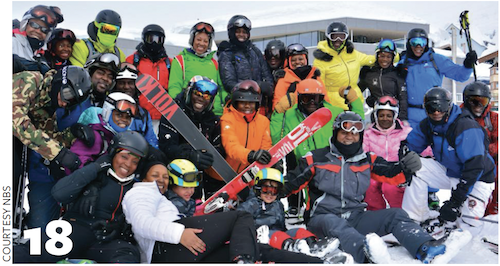 Plus: Auto-renew your ISHA membership and an updated worldwide ski museum guide. New and notable ski-history books and films. 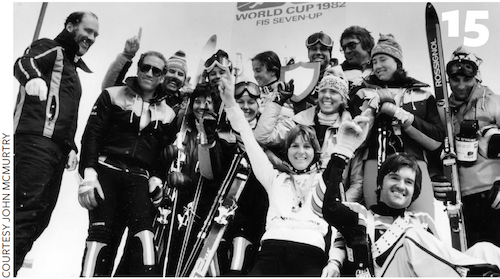 Farewell to ski pioneers John Howe, Don Henderson and Peg Kurlander.